Research shows that 83% of employees will look for a new job this year, you can improve your chances of landing a new role by registering today with HIJOBS. But first read how to avoid making these 12 common job hunting blunders. 1. Relying on the job classifieds or employer websites. The majority of jobs are snatched up before they make it to these mediums, so get proactive in your job search. Not quite sure what you want to do? Job search focus will allow you to better. A recent job loss or layoff may make you feel desperate, take your time and look for a job that will make you happy and will allow you to learn something new. Nothing will close a door faster than a lackluster interview. It’s good practice, and the more you practice, the better you’ll get at the interview process. You want to be proactive in your job search, but you don’t want to come across as pushy, aggressive, or overbearing. Follow your grandmother’s adage: “If you can’t say anything nice, don’t say anything at all.” Instead, focus on the positive aspects of leaving, such as learning something new, or making a positive career move. Your cover letter and resume are your first impression. The more specifically your skills, knowledge, and experience match a particular job, the more likely you are to get a second look. HR departments get hundreds, sometimes thousands, of CVs per week. Send your CV directly to a named person, do your research. Looking for a job is a numbers game, the right job will come around as long as you keep trying, your positive attitude will shine through. Avoid sending generic typed or emailed thank-you notes. A personalised note will increase the odds that you are favourably remembered. Change your voicemail so it simply states your name and phone number. Looking for a job is well a full-time job. Put your job hunt at the top of your priority list, and give it the time and attention it deserves. 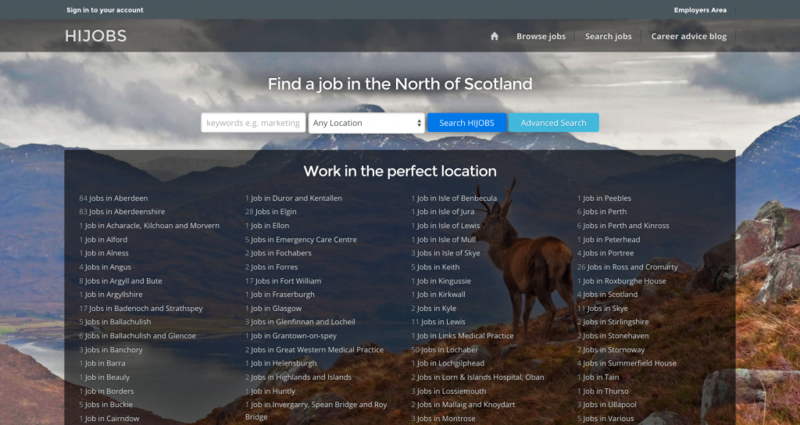 More articles like this in Career Paths and tagged apply from your mobile, candidate profile, career advice, career progression, climb the ladder, dream job, highland jobs, highland life, interview techniques, networking, new job by HIJOBS.